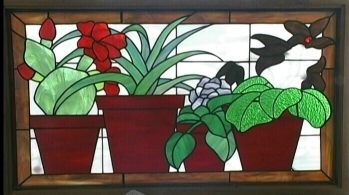 We hope to continue offering some of the same services we made available at Stained Glass One. We hope to offer some of the same services available at Stained Glass One. Check back often for updates. At this time Jim is available for custom pattern design and repair work. He will also cut and fit zinc to your project. Contact us through the form on the website or use the contact button above. He will respond to work out details. In the future he hopes to start teaching again. Check back if you are interested in a class.